Incorporate these simple strategies to keep your physique looking its finest throughout the season. 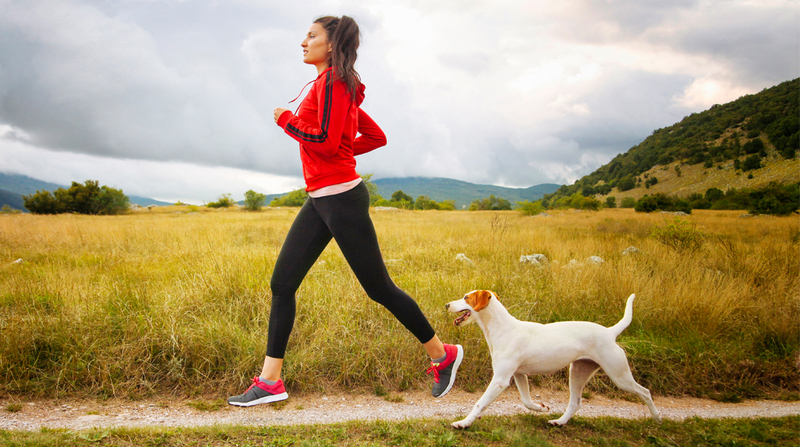 Taking Fido for a walk 20 minutes twice a day can help you shed more than 12 pounds a year. Adding weight without compromising your form recruits more muscle fibers, so you’ll get stronger while burning more fat. Run 10 100-yard sprints to burn up to 500 calories. Wait 20 minutes before going up for a second helping. Studies show the color blue has an appetite-suppressing effect (as opposed to red and yellow plates). Lentils, beans, edamame, and pears are all great sources to help you stay full between meals and snacks. You’ll nosh on 50% fewer nuts in a sitting just trying to crack them open before eating. Couples who train together are 34% more likely to stick to their workouts.